2019 is here and its time to hunt for an opportunity. Internships whether from the NSSF and any other are simply hands-on job training opportunities which are intended to equip those who undergo them with the necessary expertize with regard to their academic fields and usually, it is a requirement in most tertiary institutions like universities where by before doing the final examinations, students are send in the field for internships as part of fulfilling their study requirements. Internships can be both free and or paid opportunities depending on the terms offered by the participating organizations and regardless of what, the one who undertakes such an opportunity is always guaranteed to get a reward which may be a working experience and which is required for many white cola jobs. In Uganda just like it happens in many other countries where internships are a requirement, students are requested to seek out for such opportunities by themselves since in the end, reports and dissertations about whatever one was involved in are required and do weigh towards the final grading of students on a calculated percentage. And if you have always been wondering some of the places or organizations in Uganda where you can undergo an internship, the NSSF is one of the government owned set up institutions where that can be done. Known as the National Social Security fund,the NSSF is a Uganda National Saving Scheme which is mandated by Uganda Government so as to provide employees with social security services and once every year between June through August or even September, the body does allocate a number of internship opportunities and industrial training which are selected through an electronic draw to those in need for example the University students provided they do follow the required procedures to getting started and below is how to exactly go about it. 2. Navigate to Internships and download the manual forms and fill them. From the step above, all you need will be to stay checking their website since its where all successful applicants are published after which all those who were selected are required to report to the NSSF head office for deployment. TIP : While it may be known that such Internship opportunities by the NSSF are available every year, it is always a big advantage for anyone who is interested in such opportunities to keep checking on the NSSF website from time to time since that is where the announcements are done with regard. Thank you so much for the opporyunity. however when i was filling the form at the bottom i saw internship 2018 II instead of internship 2019. so please have i filled the right informationn or? This is Brandon from kyambogo University, I would like to know the field i can qualify for for internship in NSSF with bachelor’s in Economics and Statistics. Thanks NSSF_UG! I have navigated through the website but cant find the application form.Help!!! Hi hallot Atukunda nyangoma and thanks for the comment. Please be advised that the application forms for NSSF internship are available at the NSSF web portal during opening times. You should keep check and be able to download the forms and apply. Hope this helps. honestly i have tried for a week and there is nothing like a link or a form.Time is running out! atukunda shallot nyangoma, I am scared you may be trying a wrong site. Yes, this is becuase even right now, the NSSF internship application form is readily available on the NSSF website, and will be available till 21/April/2017. Please note that if you are trying to download it, you will not as it is filled online on the same portal. And if you are accessing the site using a mobile phone, still you may not be able to get the form. Please use a computer and access the nssf web portal and send in your application. 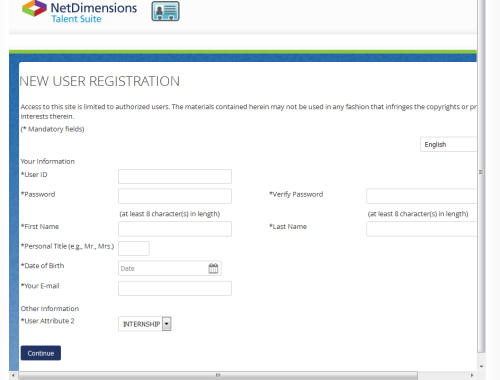 Here is the screenshot of the form. THANK YOU SO MUCH FOR THE HEART FELT SERVICES THAT YOU PROVIDE TO THE CITIZENS OF UGANDA MAY GOD REALLY BLESS YOU SO MUCH. Thanks for making the lives of people better and i hope that with time it will be best. thank for the adverts but for me I fail to get a place for my internship placement up to now, is there any free space still existing. I would be very grateful it my request is taken in to consideration. Thanks for the opportunity of being exposed to such a big organization as this. thanks for ginving us an opportnity to make our dreams come true and support one another.God bless you all. M greatful for this chance I badly want to apply. Once received, dont lose it. This is all that i want so as to fulfill what i dream of. Hi my friend! I want to say that this post is awesome, nice written and come with approximately all vital infos. I’d like to see extra posts like this. You just have to stay subscribed..
its really a great opportunity and i believe we shall gain better skills from it. Thanks for the comment. Go on and apply for your internship, its a career preparation.